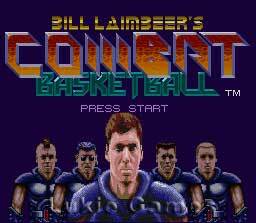 Bill Laimbeer's Combat Basketball SNES Super Nintendo Game Cartridge Cleaned Tested and Guaranteed to Work! In the 1980's and 1990's, there was a legendary rough and tough bad boy of basketball. 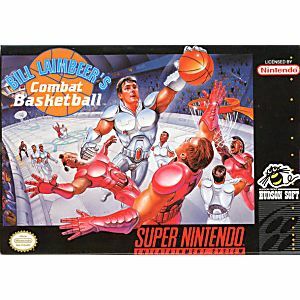 His name was Bill Laimbeer. Unfortunately, the league didn't like his style of playing, so they forced him to retire. Now the year is 2030 and Bill Laimbeer has resurfaced as commissioner of the basketball league. He wants to get back at those people who made him retire, and play ball his style! He's fired all the refs and eliminated all fouls. 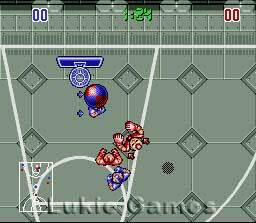 The players are armored, and the crowd throws weapons and mines on to the court. 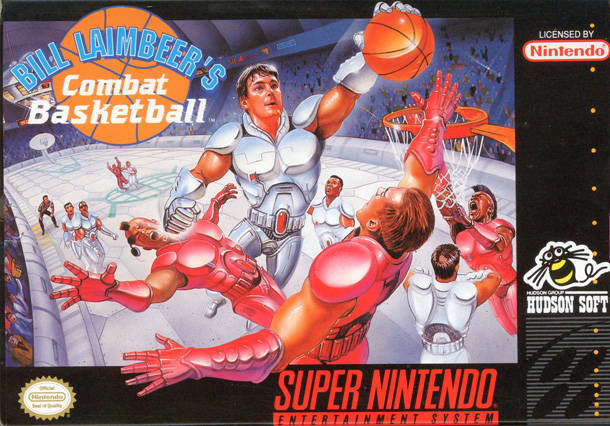 "This is basketball my way," exclaims Laimbeer. "No wimps, no wussies! It's not just basketball. It's Combat Basketball!" This game is a great amount of fun until you have managed to get a few of the top-tier robots on your team... Then it's less fun, because the computer doesn't compete very well (and neither do other players). But still, the buildup is worth it. Bill is a difference between different type to basketball game players. This is a treats.